Improve your credibility and highlight your strengths with Sticky Punchlines! 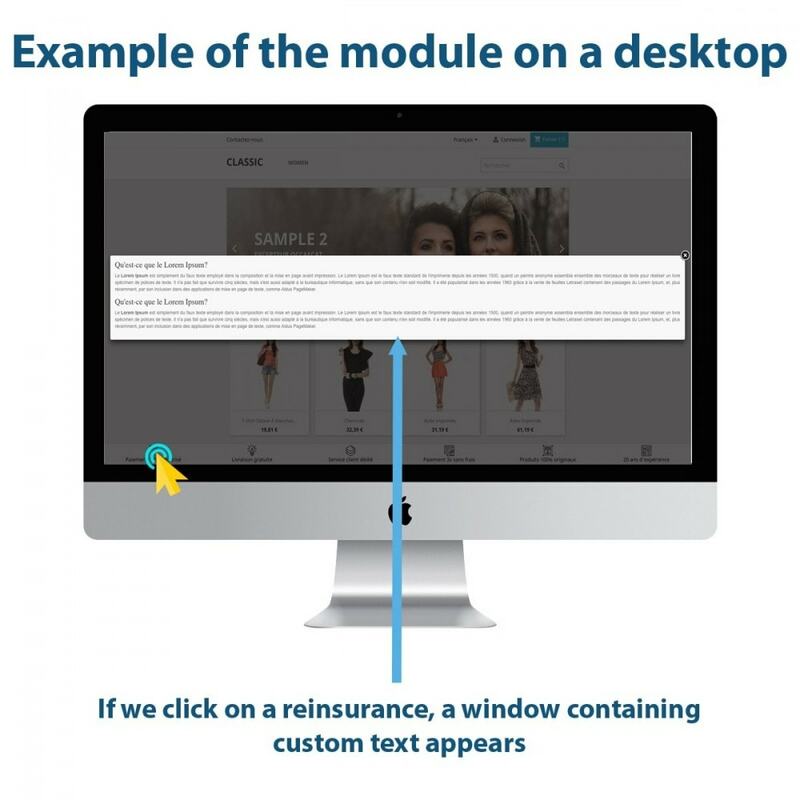 This module allows you to display a horizontal banner containing your reinsurance all the time visible at the bottom of the screen, with a totally responsive design. When a user discovers an online store, he must have confidence to order. With this module, you are sure to reinsure it. The services or values ​​of your brand are important points in the purchase decision. With this module, highlight easily your strengths to the user. 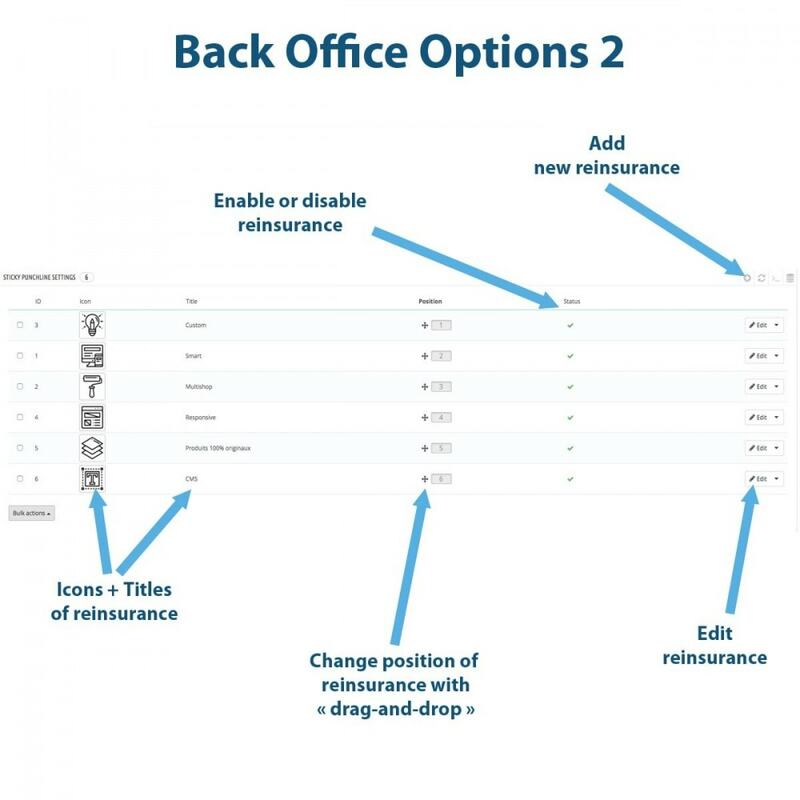 Each reinsurance is clickable and allows to display a personalized text written by you. When the user clicks on the reinsurance, a nested window opens, which makes it possible not to bring the user on another page. To differentiate yourself from your competitors, every detail counts. In order to have a site that stands out in terms of features, this totally customizable banner will earn you points. 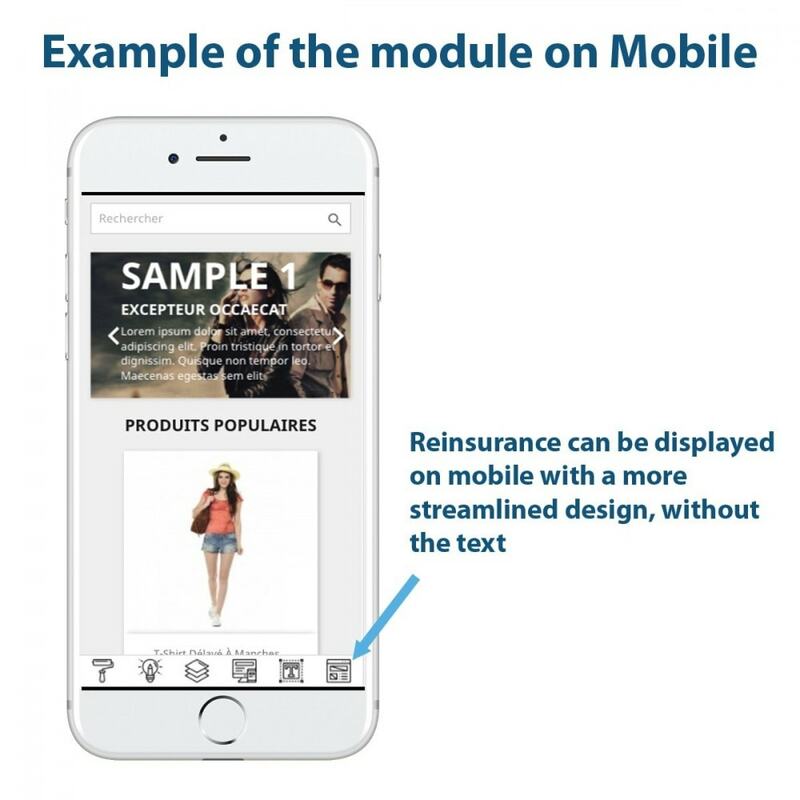 Sticky reinsurance on mobiles and small tablets: displays a horizontal banner containing reinsurance at the bottom of the screen on all the pages of your site. 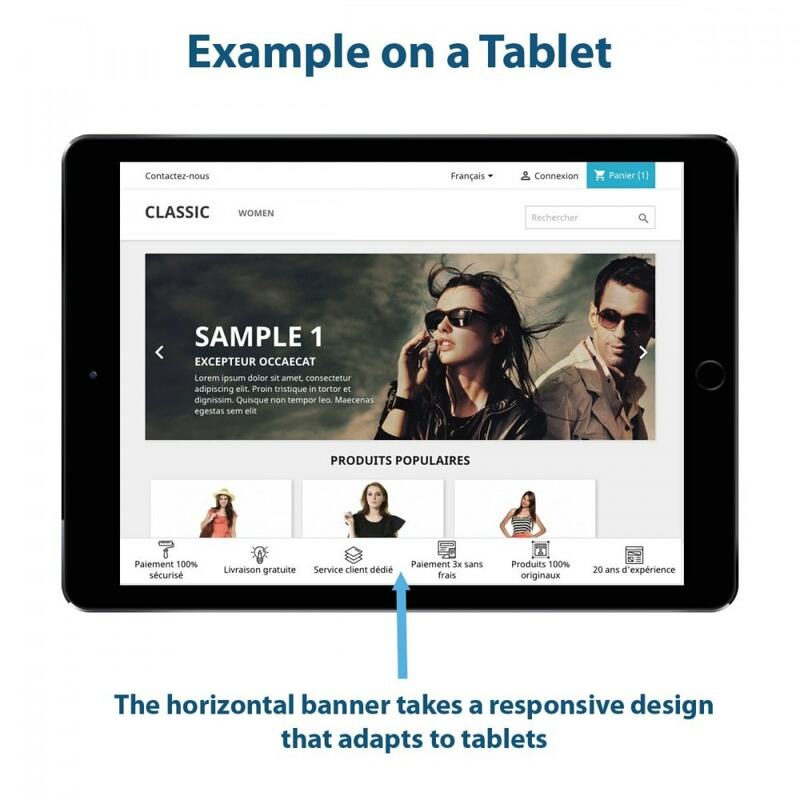 Sticky reinsurance on computers and large tablets: displays a horizontal banner containing reinsurance at the bottom of the screen on all the pages of your site. 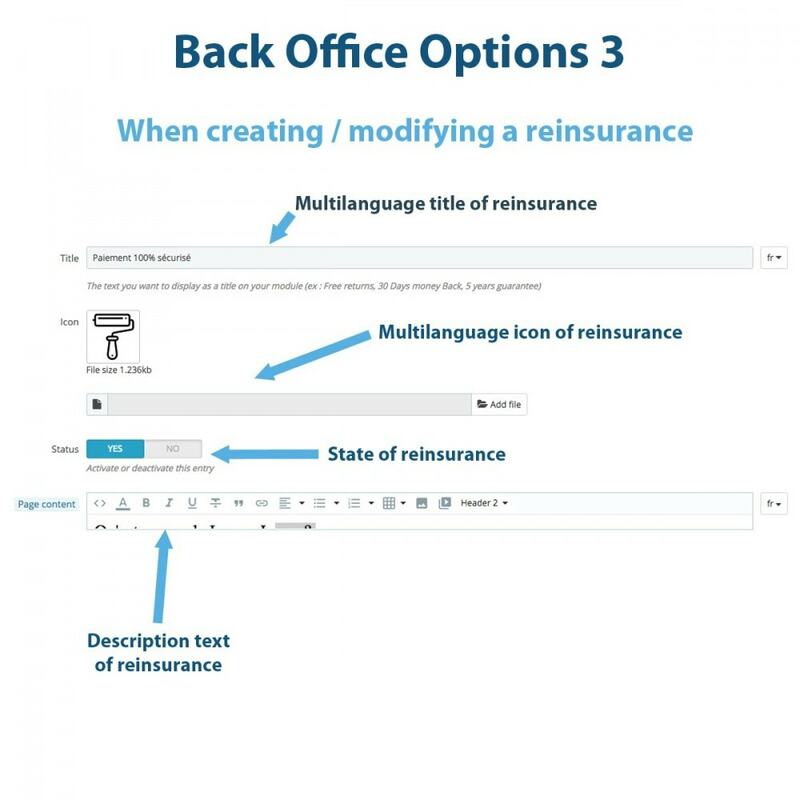 A short descriptive text can be added under each reinsurance. Opening a nested window at click: possibility to write text for each reassurance. This text appears in a nested window when reinsurance is clicked. Choice of colors: possibility of customizing all the colors of the modules: background color of the banner, text color of reinsurance. Uploading icons: possibility to upload images for the aspect of your reinsurance. These images can then have a name as well as a position. The module is usually compatible with all themes without problems. Nonetheless, if your theme is highly customised with overrides this can result on a undesired display of the module. Do not hesitate to reach out to us if this is your case. How long will I be delivered? Is the payment secure? Where do the products from this merchant come from? Answer all the questions surfers ask themselves quickly and clearly. 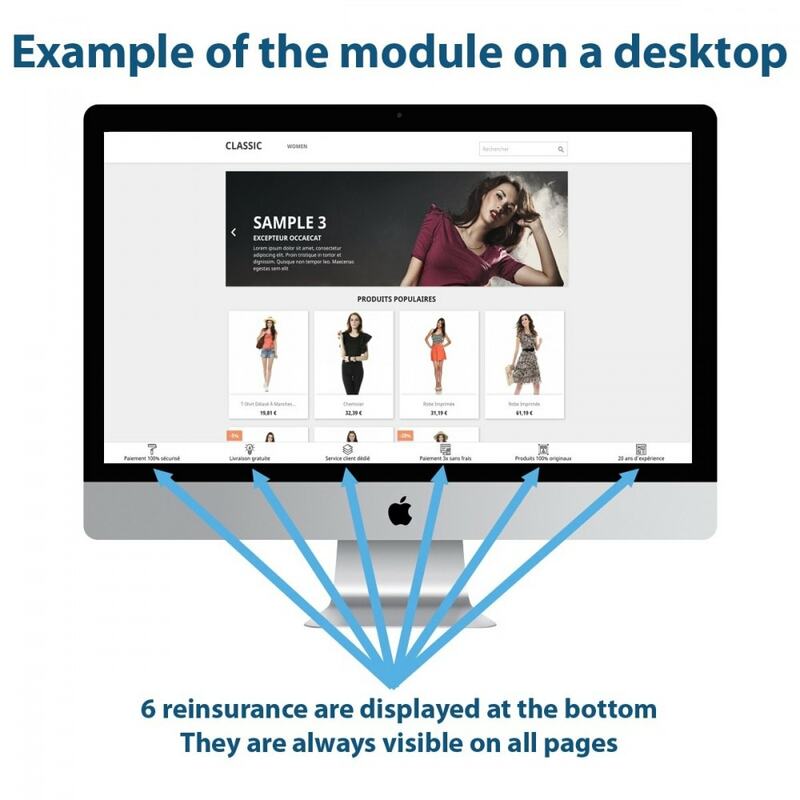 Reinsurance is a key point today on an e-commerce store. However when we click on it to get more information, we are often redirected to another landing page. As a result, it affects the customer's customer journey and may discourage them from finalizing their order. With our nested windows, make sure you offer a navigation satisfaction! For reasons of aesthetics, we advise you not to display more than 6 reinsurances at a time. Increase your conversion rate and browsing experience with Sticky Button in Cart! 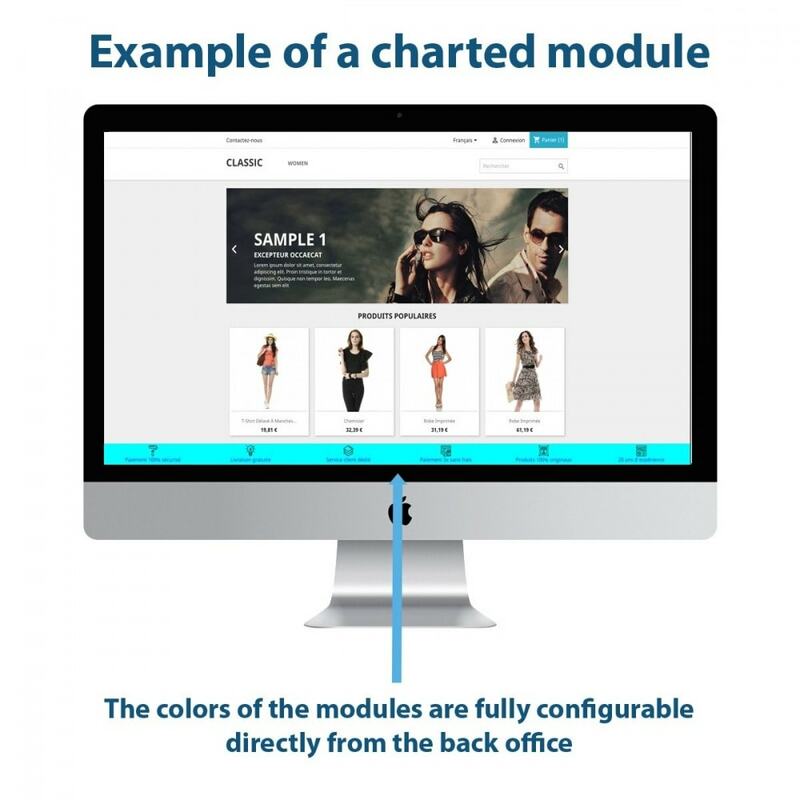 This module allows you to display a checkout button all the time visible in the cart of your customers with a totally responsive design.